Global soap is a unique boutique business established in 1997. We have created a lifestyle and business around what we love to do … that is make beautiful handmade natural products for people to enjoy. At Global Soap we handcraft our soaps in small batches using the cold processes method. 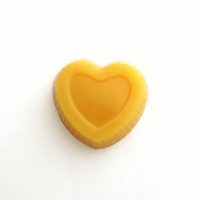 We have created beautiful soap recipes packed full of ingredients and scents that will naturally nourish and moisturize your skin – so why not treat yourself, family and friends. If you are in Our World sunny Nelson, New Zealand come and visit us, just follow your nose, the luscious fragrance will guide you to our unique little shop where all our products are created and handmade with lots of love… by us. Our Goal – is to have a positive and green impact on our personal environment – OUR SKIN. Our Products – are in tune with the growing desire of nurturing health and environmental wellbeing. Our Policy – is to use safe and natural ingredients and to use minimal packaging.